Welcome the lunar new year with this jazz duo from Switzerland who creates a colorful and lively sonic landscape where old Chinese melodies are heard together with contemporary sounds! "Music with ethereal beauty, inviting us to fly and dream." Sonic Calligraphy is a jazz duo from Zurich, Switzerland with New York Chinese American jazz singer Peggy Chew and Swiss pianist Adrian Frey, who present a fascinating cross-cultural blend of music with folk melodies from China, poetry improvisations from the Tang dynasty and beyond, jazz standards, and songs from the pianist sung with the singer’s lyrics. Since 2001, they have played throughout Switzerland as well as several tours in China, Hong Kong, and the US. 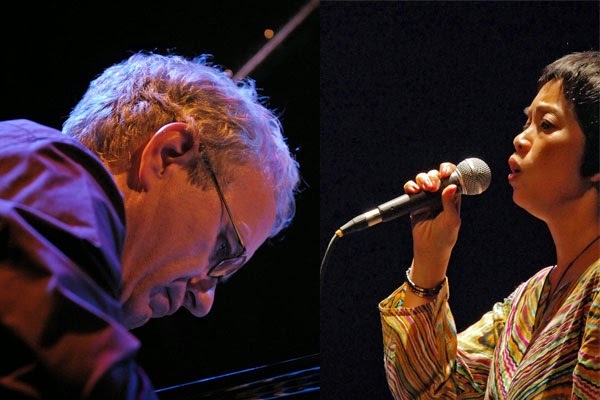 They have released two CDs “Sonic Calligraphy” and “Sonic Calligraphy, The Flow of Things.” Festival appearances include: JZ Shanghai Music Festival, Culturescapes Festival , Leung Ping-Kwan Poetry Retrospective in Hong Kong, and the Altrisuoni Jazz Festival. 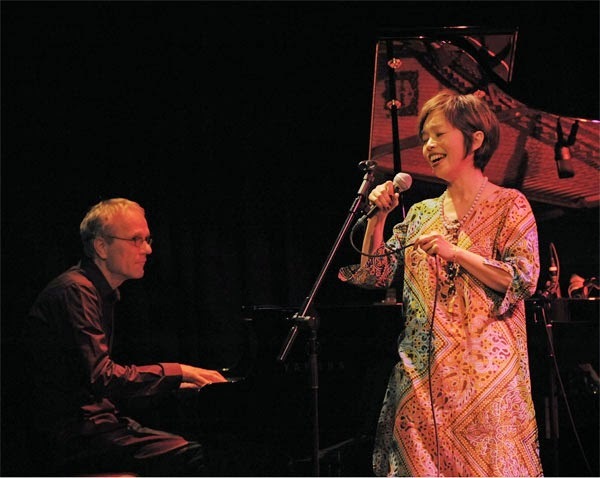 Peggy Chew is a Chinese American jazz singer who breathes new life in the vocal jazz tradition with her modern sounds and songs. Her repertoire of American jazz, folk, pop, Brazilian, and Chinese songs reflects her multicultural background and interests. She sings in English, Portuguese, Chinese, and also improvises wordlessly. She has studied with leading jazz singers: Jay Clayton, Anne Marie Moss, Bob Stoloff, Norma Winstone, and Lauren Newton. She teaches vocals at the Swiss Jazz School in Basel, Switzerland. Adrian Frey, pianist and composer, is a musician whose wide scope of activities range from jazz, latin to experimental music. Besides leading his own groups (trio, septet, and Sonic Calligraphy), he has performed and recorded in a variety of contexts ranging from solo to big band concerts in Europe, US, and China. He has performed wlth Jay Clayton, Hal Crook, Adam Nussbaum, Chris Washburne, Reggie Johnson, Julio Barretto, Franco Ambrosetti, Coco Zhao, Wu Na,etc. After receiving a degree from the Conservatory in Zurich, he studied at the New England Conservatory with pianist Ran Blake, composer George Russell, drummer, Bob Moses, and saxophonist, Jerry Bergonzi, who all furthered his dedication to create his own musical language. A Professor of Music at the Zurich University of the Arts in Switzerland, he teaches piano, improvisation, and eartraining.